Each year, the Oklahoma Manufacturing Alliance works with hundreds of companies on thousands of projects. The economic impact is extraordinary, totaling tens of millions of dollars in new sales and significant high-wage job creation. 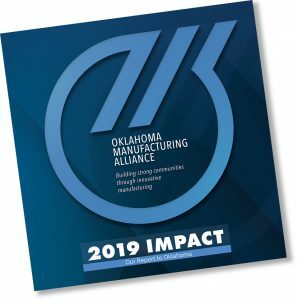 The Manufacturing Alliance is Oklahoma’s connection to the national Manufacturing Extension Partnership. NIST/MEP is alone in its ability to leverage national resources on a local level and to commercialize emerging technologies. We are proud to be one of the most effective and efficient NIST/MEP centers in the country. 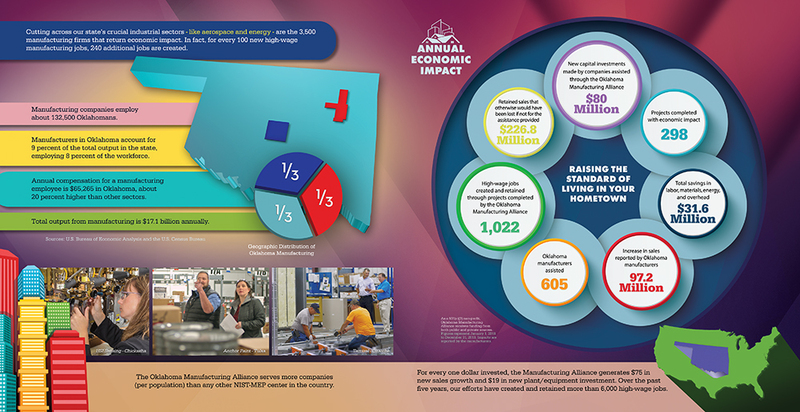 Most importantly, the Oklahoma Manufacturing Alliance delivers a high return on investment right to your community where you live. For every one dollar invested, the Manufacturing Alliance generates $75 in new sales growth and $19 in new plant and equipment investment. Over the past five years, our efforts have created and retained more than 6,000 high-wage jobs. We are raising the standard of living in your hometown!